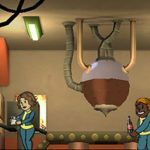 Want more general tips and tricks for Fallout Shelter? We’ve got good news for you, as this marks our fourth part in this particular series. 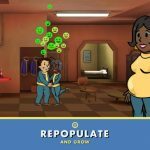 Before we move on to our latest Fallout Shelter strategy guide, we might as well give you a few basics on the game, just as a reminder, and a primer for those who are reading our tips for the first time. Fallout Shelter is a game created by Bethesda, currently available as an iOS-only title, and it puts you in charge of a fallout shelter and a community of Dwellers seeking refuge from the post-apocalyptic wasteland. Now, that we’ve primed you on the game, let’s not waste any more of your time – we’ve got some more general tips and tricks waiting for you after the jump. Aside from the buildings we already told you about, there are others out there that could benefit your Dwellers. The Lounge, for instance, improves their Charisma, the fitness center improves their Endurance, and the weight room, of course, enhances your Dwellers’ strength. You’ve also got the classroom, which makes your Dwellers more intelligent, the game room, which makes your Dwellers luckier, and the armory, which improves their Perception stats. In the third part of our general tips and tricks series, we mentioned the Nuka-Cola plant in brief. But what does it do anyway, and is it worth waiting for once you’ve got the hundred-Dweller population needed to unlock it? Well, it creates more substantial amounts of food and water, which, as you know, are two important resources in your vault. And there are other higher-end buildings out there that could get you more resources. The nuclear reactor generates more power, the water purification building gives you a lot more water, and the Garden is there to give you considerably more food. We told you quite a few times that leaving Dwellers out in the wasteland for too long could have negative effects on their health and may probably kill them. However, there are other benefits of exploring the wasteland aside from the chance of more resources, more lunchboxes, and more bottle caps. This could be a good way for your Dwellers with health problems to recover on their own without the help of Stimpaks and/or Radaways. Still, the same warning applies – don’t have them exploring for too long! Yes, it is possible to use the time lapse cheat in many ways in this game, and one of them is to speed up your Dwellers’ trips to the wasteland. Set the time ahead on your iPhone and iPad to expedite the expeditions (no pun intended), though bear in mind that this cheat’s efficacy is primarily based on the number of Stimpaks and/or Radaways your explorers have with them. 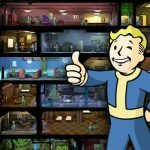 If you’ve missed reading our general tips and tricks on how to run the perfect vault in Fallout Shelter, you can check all of them here, here and here.